It all started as I was on this amazing trip to Egypt. Just finished my studies and landed my first big job. Our way of celebrating? Take a great trip and I chose Egypt. We did the Nile by cruise and I fell in love with this country, the sand and its people. We saw the valley of king and queens, great temples and travelling from Luxor to Aswan. After that? A few days of R&R in Hurghada, where I took my first (and last) snorkelling trip. It was great being out at sea, snorkelling and seeing all this amazing fish. After we came back in The Netherlands it took me a couple of days to get back into the rat race again. During those days we met a friend of ours, Tjaarda. He was a DM and after hearing our adventures he suggested to learn to dive. I was not even that enthusiastic at the beginning. After all it was winter and going into any water was not that appealing to me. Boy… how all that changed in just a few months. I just loved the combination of water, adventure, technique, biology and learning. I never had thought in those days that I would become an instructor and I am not even talking about a freelance safari guide. I just did what I liked and one day you come to the next step, becoming an instructor. 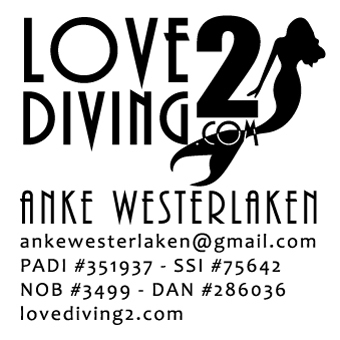 Back in those days I was member of a dive club and of course as a new born instructor I was quite active. Together with my dear friend Paul, we organized many courses, dives, specialities and BBQ’s after the dive. Was a great time and I learned so much. A couple of years ago I lost my normal job. Long story and not one of the nicest.. But in that proces I came to the realisation that going diving was maybe the thing I needed. I have always had a love for live-aboards but thought it to be a bit arrogant to apply directly for one of those. But with time on my hands I decided to just go to Egypt. Check out what life is like around there being a non-tourist. Finding a place to stay, getting around and building a new network. 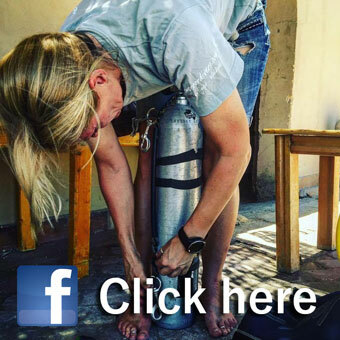 In those days I got a chance to help out some dive centres next to some marketing and design work. And slowly I found my way in Hurghada. After a couple of months of experience, I called the fleet manager of Emperor, I knew him from my previous travels. And he gave me a chance to get some training. And within months I landed a job as a live-aboard guide on Asmaa. Really loved the time I got to spend there. The crew was absolutely amazing. Up to this day some of these guys are still like my brothers. I learned a lot, had some ‘special’ experiences and truly felt at home. But unfortunately there is a time to go. Things had changed a lot and I no longer felt being in the right spot. And although I will never forget all those great years on Asmaa, it was time to move on. Time to new adventures. Fortunately changes appear as you are ready for them. For me that chance was given by Blue O Two. I packed my bags and flew out to the Maldives to take care of Blue Voyager. In the end, where ever I go, however much I have learned. I am still just a diver. I love to explore, learn new places, things and people. And have been blessed to get all these chances in life. Previous Previous post: MY FAVOURITE ANIMAL?